Most industrial applications require the monitoring of pressure and temperature of a process. Pressure and temperature measurement can be accomplished either by transmitters, gauges or by switches. This post will provide a quick introduction of industrial electromechanical pressure switches and temperature switches. A well designed steam system should produce clean, dry steam ready for distribution at high pressure through the steam distribution network. This maximizes the potential to generate and supply quality saturated steam at the lowest total cost. Most applications require a pressure reduction at the point of use. 1) A reduction in the cost of capital equipment; 2) Plant costs decreases by reducing flash steam; 3) Since saturated steam pressure is directly related to temperature, controlling pressure will automatically control temperature thus avoiding the need for supplemental temperature controls; and 4) The ability to supply optimized steam pressure for any individual application. Gases and steam are compressible. It is normal that when gas reaches the disc in a valve, it compresses and builds up before passing through the valve. This compression may cause a rapid build up of system pressure and be potentially harmful. A conventional liquid type relief type relief valve doesn't open fast enough to relieve gas or steam pressure. The slower action may actually contribute to pressure build-up. A compressible gas system requires a valve that will pop wide open under excessive pressure. That's the design principle behind a pressure safety valve also known as a PSV. Safety relieve valves and relief valves are similar and share common design and components. The direct acting safety valve is made up of a inlet, outlet, housing, disk, seat, spindle, a cap, and in some instances, a manual operating lever. 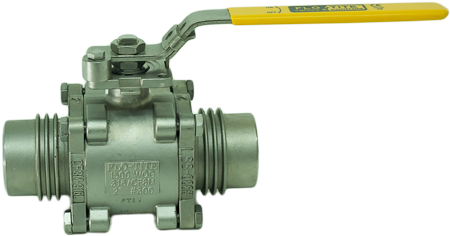 The safety valve assembly is protected by the housing which has a threaded or flanged pipe connection to the system. The cap protects the top of the valve and reduces the chance of inadvertently changing the valve setting. The disk stays in place until the system pressure increases to the point when the disk “pops” off the seat. The spindle aligns the disk. An adjusting screw is used to set the valves' set point or popping pressure. Spring tension can change over time an require the recalibration of the adjusting screw. The most common process heating, heat exchanger hookup uses a temperature control valve on the steam line to the heat exchanger, and a steam trap on the condensate line from the heat exchanger. The shell side is this steam space. A control sensor signal at the tube side outlet is used to throttle the steam control valve to maintain set point temperature. 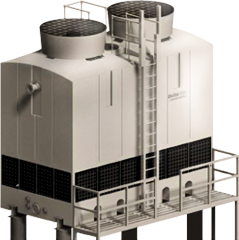 Higher pressure in the steam space than in the condensate recovery line produces effective condensate removal and lift to the return system. Under a steady high load, differential pressure removes the condensate from the heat exchanger. Under reduced heating load, the control valve throttles down, reducing the steam pressure inside the heat exchanger. This also reduces the differential pressure across the steam trap making the trap unable to remove the condensate. This happens in all heat exchangers, whether properly sized or oversized. This causes condensate to flood the steam space, known as heat exchanger stall. In other words, the pressure in the heat exchanger is equal to, or less than, the total back-pressure imposed on the steam trap, sometimes even attaining vacuum. Some operators address vacuum in the steam space by installing a vacuum breaker on the shell. This practice introduces atmospheric gases that dissolve readily into the cooler condensate. These dissolved gases form corrosives that attack wetted surfaces, while doing nothing to eliminate the stall condition. 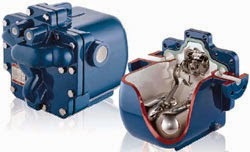 The simplest way to cure stall is to install a steam-powered automatic pump trap, such as a Spirax Sarco APT series. Pump trap operation is based on condensate level alone, with live steam pressure removing condensate under all load conditions, even vacuum. By not using a vacuum breaker, you can reduce condensate acidity and large temperature swings in the heat exchange equipment. Heat transfer and control improve. Corrosion, water hammer, tube failure, excessive treatment chemical dosing, and high maintenance costs become distant memories. A survey of your heat exchanger and condensate return system operating and maintenance data can uncover the below-par performance that indicates stall. If present an automatic pump trap is an easy solution that quickly returns dividends in process quality, energy savings, and reduced maintenance costs. For more information on how to prevent heat exchanger stall, contact Mountain States Engineering and Controls at 303-232-4100 or visit www.mnteng.com.